I say 'overnight' but I really don't mean it! We've all had those mornings where we've pulled our oats out of the fridge and they're more like a solid mushy brick than something edible. 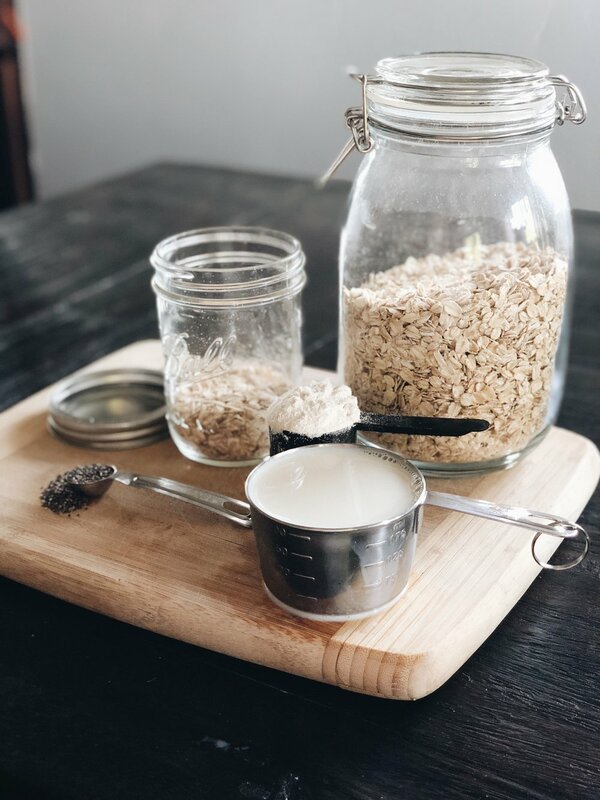 I prefer to only leave my oats to soak for 1-4 hours before I take them out and eat them. Mix well and allows to soak in the fridge for 1-4 hours, or overnight if you'd like.